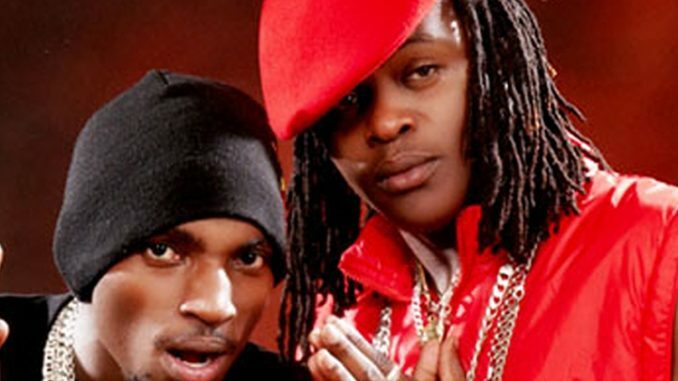 The Goodlyfe crew, who have an ongoing beef with Chameleone. Rivalries in the Ugandan music scene are good for business because the rate at which beef is rising between Uganda’s artists is astonishing. Artists who started out as friends are now bitter rivals: Gagamel vs. Fire Base, Rocky Giant beefing GNL, Goodlyfe and Bebe Cool and Goodlyfe in turn sparring with Leone Island. The list goes on. These endless beefs become an important source of income to the artists involved. Lyrics with intent to diss become a fascination for the audience and fuel the rivalry. Suddenly fans are forced to pick sides and with each new insult the artists keep the limelight and the money keeps rolling in. Here’s the way it works: A small misunderstanding arises when a certain musician is misquoted by another or a hot woman is thrown in the mix and the situation explodes. Then, strong statements are thrown and the artists each release tracks that diss the other. But is it legitimate, or just a way for artists to stay in the spotlight? Because, while the war of words may be intense, this beef rarely, if ever, escalates into physical violence. The biggest battle of them all is the one between Bebe Cool and Bobi Wine. The two giants offer all kinds of music, from bubblegum to reggae, raga to Afro beat. One thing that hasn’t changed, though, is their beef. Bebe is the son of a former minister and Bobi is a common man from an average family. Both have toiled to make it to the top of the profession and neither wants to admit that he is weaker than the other. Their spat has taken many musical forms: Agenze by Bebe Cool basically talks about how he has loved his wife and all of a sudden she decides to leave him. 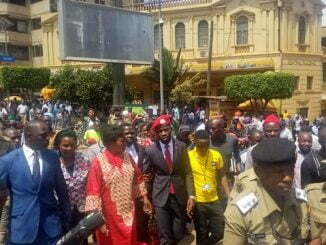 Bobi Wine studied the situation and released a diss track titled Wesotinge, a song that lyrically tells Bebe Cool to handle family matter more professionally. It sounds like Bobi Wine was throwing a piece of advice but Bebe Cool took it as an insult and he stormed D. Records and released a club banger, Bogolako, informing Bobi that it is within the powers of a man to stand bold and speak up. The twist did not stop there, Bobi replied with Mr. Katala where he informed Bebe that he made his wife stupid. 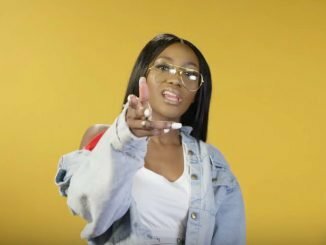 According to the song, Bobi seems to have wanted a credit for advising Bebe, but instead he was called a fool. Bebe Cool’s latest release in that line is Minzani where he refers to the music industry as a weighing scale and says that God is the only one to make the final determinations. The beef took a reprieve in January 2010 when Bebe Cool and two of his bodyguards were shot. Bebe narrowly survived death and Bobi Wine actually encouraged people to go and visit his rival in the hospital and this meant that however competitive they are, they would not wish bad for each other. The reprieve didn’t last long. These two men have taken the art of the rivalry to a new level, specifically in the way they always hold their shows on the same day at competing locations. For example, on 7th October, Bobi had a show at Hotel Africana and Cool had his at Garden City roof top. 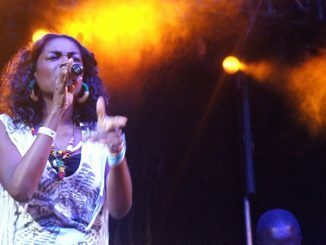 Revelers say Hotel Africana was full to capacity and Garden City, being a new venue for such shows was relatively full. Susan Nava of the popular Login show on NTV, said Bebe Cool confronted her recently complaining that she had Bobi Wine on her show during Login and neglected his despite the fact that he shared sponsors with her. “Bebe Cool does not want to accept that Bobi Wine had a better turn up at Africana,” Nava said. Other beefs shouldn’t get lost in the heat of the Bebe/Bobi kerfuffle. For example, the conflict between the group that formerly made up Leone Island: Chameleone and Goodlyfe. When the latter formed their own group after years of being overshadowed by Chameleone, they said he was a greedy man who didn’t like to see other people prosper. They released a diss track called Nyambula that specifically tells Chameleone that he took them for granted. They later released Kamila da Teacher, where they refer to Chameleone as their hater and number one trouble maker. Surprisingly, Chameleone does not attack back lyrically, but instead advises them in his songs Mukisagwo, Abatasiga Nsigo and Technology where he questions why money should split them when they vowed to always be there for one another. Maybe the answer is because making more money requires some good beef.